Scirocco II with the Signature Black Tip is a superbly accurate hunting bullet designed for longrange efficiency. It carries velocity and energy better than any of its competitors. Its sleek design and high ballistic coefficient produces the flattest trajectory in downrange hunting making it a perfect match for longrange cartridges. The Scirocco II produces positive expansion at minimal velocities as well as controlled expansion and high weight retention at close range. 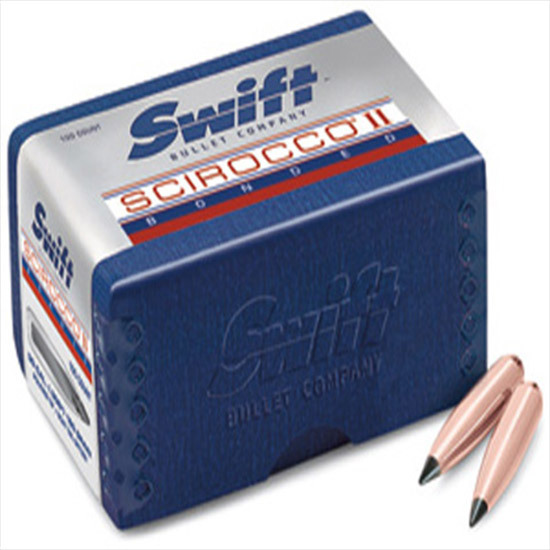 No other tipped bullet offers the terminal range of Scirocco II.